Check Out CSL's Newest Products! Compare CSL’s innovative RFID product line of RFID tags, RFID readers, RFID antennas and RF cables and you will see the difference in performance and price. Click here to see new products. 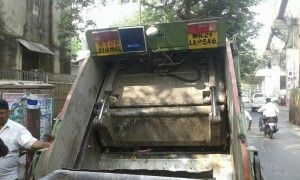 Convergence Systems Limited (CSL) and RFID Tags and Services (RFTS), a leading solution provider and distributor of RFID, announced that the city of Mumbai has implemented a sophisticated, real-time vehicle tracking system for solid waste management that relies on RFID technology to ensure that garbage is collected on time, improves the efficiency of city services, including curbing the financial losses. For complete story, please click here. Convergence Systems Limited wants to thank all our partners and customers for stopping by our booth at RFID Journal LIVE last week. CSL featured the ruggedized CS208-3G for high performance and 3G connectivity as well as our portfolio of UHF RFID tags, readers and antennas. Visitors were happy to find stationary reader solutions from 4 to 16 ports at the right price and performance to enable automatic inventory management and people tracking. 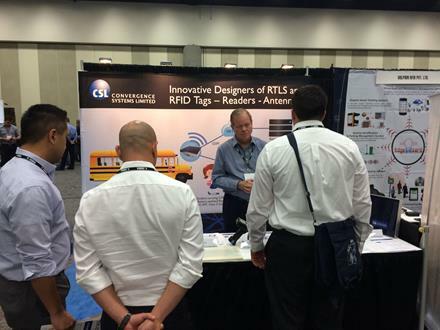 We were also pleased to see many inquiries regarding our Time-of-Arrival based RTLS solutions.